Since opening Hayworth PR, Creative Operating Officer Kevin Hayworth has successfully utilized his diverse background in marketing communication to the benefit of a wide variety of creative design and public relations clients. For nearly five years prior to opening Hayworth PR, Kevin worked to grow both the PR and advertising services of Moore Consulting Group, a privately owned agency in Tallahassee, Florida. As vice president of Moore Consulting, Kevin used his talents to help successfully redirect the agency’s focus, expand the company’s capabilities and broaden its client base. By aggressively pursuing new business in the healthcare, telecommunication and tourism industries, Kevin helped double agency billings for four consecutive years during his tenure at Moore. 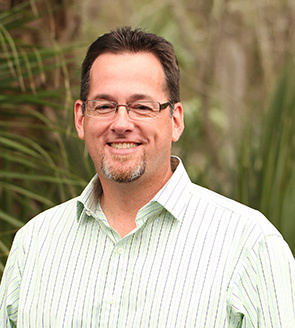 Kevin’s other agency experience includes two years as a public relations coordinator for the Tallahassee-based Zimmerman Agency. Kevin has received numerous public relations and advertising awards for his creative work. A native of Daytona Beach, Florida, Kevin has a master’s degree in mass communication from Florida State University.